Includes rare, exclusive audio tracks embedded below. When I first got "hooked" on Mid-Atlantic Wrestling, one of the things (other than the great wrestling) that I liked most about both Crockett shows was the great theme music. I'm not talking about wrestler's theme music. 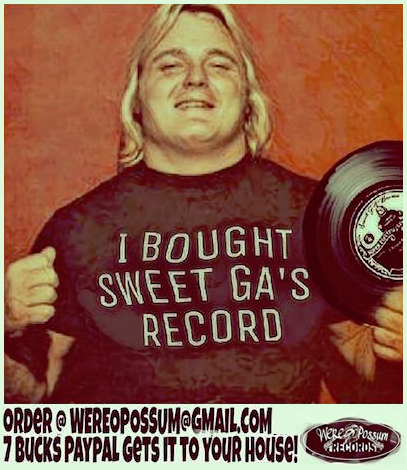 This was in 1975 and almost a decade before every wrestler had their own theme music. I'm talking about the opening theme music that started off each show. 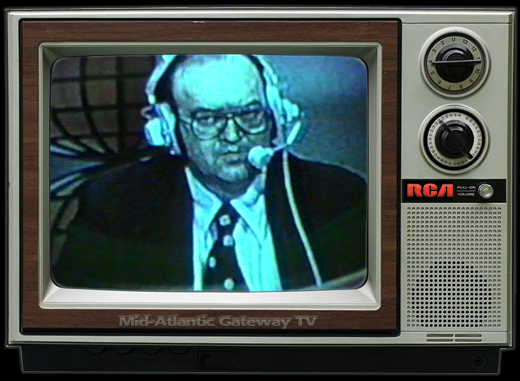 It was a signature element of each of the two programs that Jim Crockett Promotion produced, and is today as much of the sentimental or nostalgic aspect of those shows. That's something long ago lost as it regards pro-wrestling on TV today. Over the many years, I've enjoyed collecting theme music from the various wrestling shows I watched in the 1970s and 1980s. 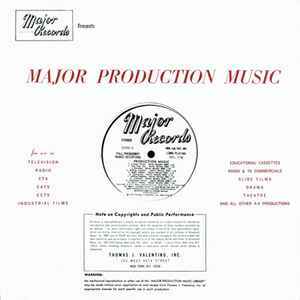 Some used edited versions of popular commercial music, some used "production" music written especially for that use. My favorite wrestling TV-show theme of them all was the music for "Wide World Wrestling" in 1975-1978. 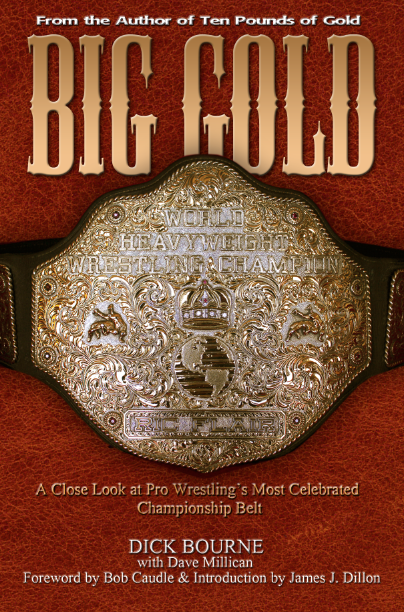 "Wide World Wrestling" was Jim Crockett's "B" show. 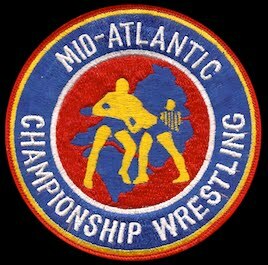 If a TV market only featured one of Crockett's TV shows, it would always be the "Mid-Atlantic Championship Wrestling" show, which was the "A" show. 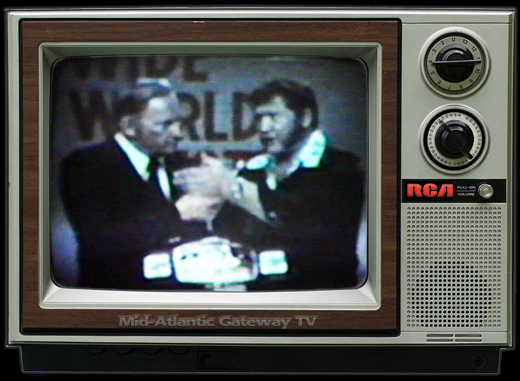 If a traditional Crockett TV market featured both Crockett shows, then "Wide World" would be added as the second show in that market, or the "B" show. 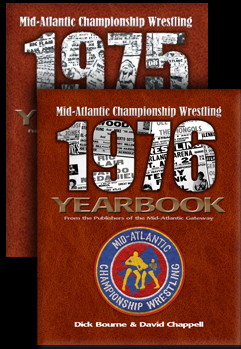 The show began in October of 1975 and was hosted by longtime Atlanta wrestling broadcaster Ed Capral. 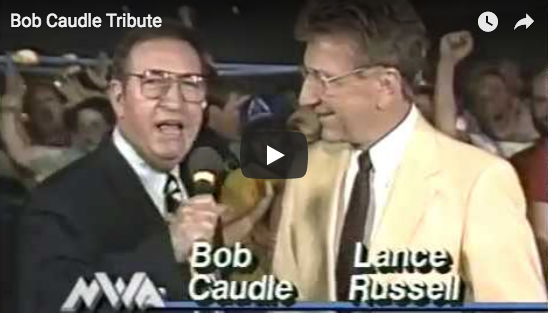 When Capral left in 1977, he was succeeded by hosts Russ Dubuc and then Tom Miller. 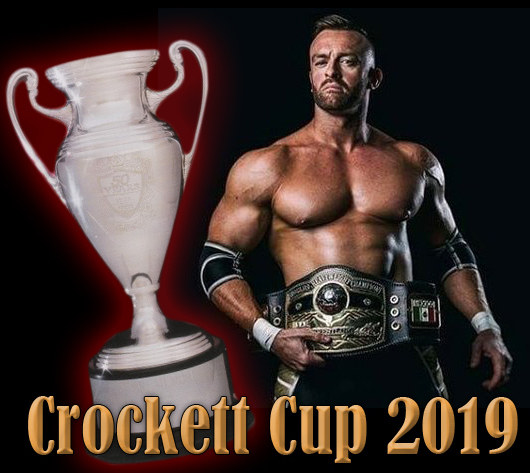 In 1978, Crockett changed the name of the program to "World Wide Wrestling" as host Rich Landrum took over the show, and by the early 1980s, this was the show that started going into Crockett's expansion markets, as well as remaining the "B" show in Crockett's home markets. "Truckin'" Tom Miller, host of "Wide World Wrestling"
The opening theme music for this show was awesome! The opening video package that ran under the music was a quick montage of various wrestlers doing various wrestling maneuvers that flew by at quick pace that matched the upbeat tempo of the music. The music and video open had sort of a "Wide World of Sports" feel to it. 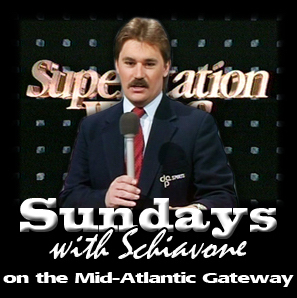 ABC's "Wide World of Sports" was one of the most popular sports programs of the era and as much a part of Saturday afternoons as wrestling was in that era. 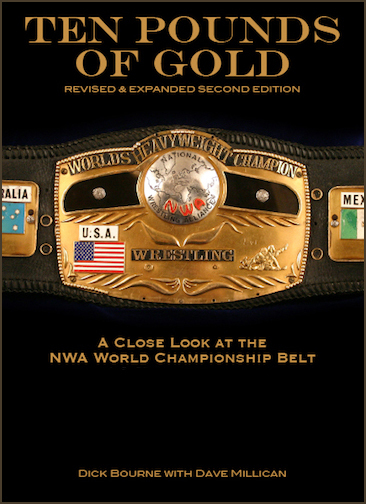 Recently our friend Craig at Wrestling Media (wrestlingmedia.ws) was kind enough to send us the original recording of the music used for "Wide World Wrestling." I got his very nice email on Thanksgiving Day - - what a wonderful gift on Thanksgiving! I was thankful indeed for his generosity and for remembering at all that this was something I had been looking for for years. He was able to identify it solely by the low-resolution recording I had of it on the Mid-Atlantic Gateway Archive site. 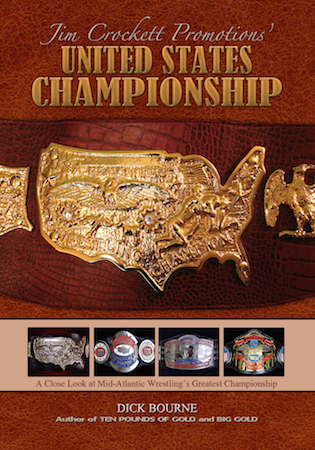 The "Wide World Wrestling" theme was created by taking various segments of the original 1:30 recording and piecing them together to make the final 25 sec. version you heard each week to open the show. The tempo of the wrestling version was also a little faster than the original, although at the same pitch. I took Murphy's original recording and edited a version together that is nearly identical (in arrangement and speed) to the classic 1975 wrestling theme, and happily present it here. 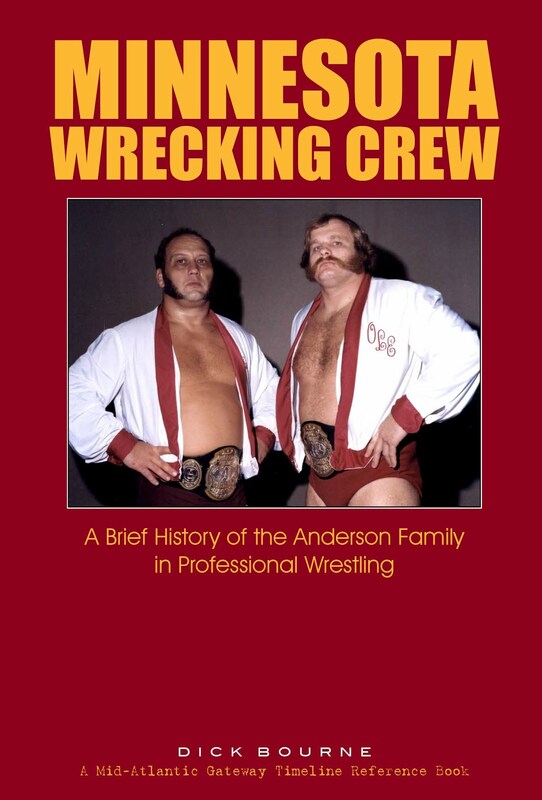 There are no known video recordings of the 1975-1978 "Wide World Wrestling" show, which is a very sad thing. The theme hasn't been heard in this arrangement since 1978, so only fans who are roughly in their 40s or later would even remember it. 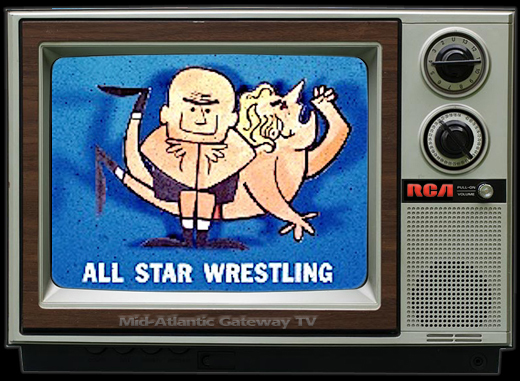 But for those that watched "Wide World Wrestling" every single weekend without fail as I did each week, this will be a wonderful trip down memory lane and a nostalgic reminder of a great era in Mid-Atlantic Wrestling. And for those hearing it for the first time, this is what a real wrestling theme sounds like. 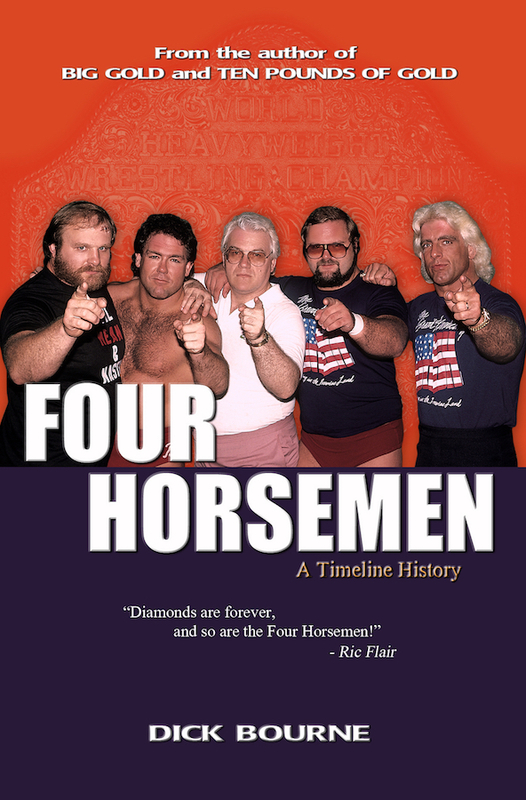 Thanks to Craig at Wrestling Media (wrestlingmedia.ws) for his forwarding this information and for providing me the original track that resulted in my favorite wrestling theme music of them all.